The score has been settled. I’m bumping down Germany and placing California’s Pacific Coast Highway and other routes of having the best roadside views. I’ve been going up and down this state that I can’t control myself denying it’s beauty any longer. For the record, I’m originally from Philippines, and that I’m not going to be biased putting it on top. I’ve been to different parts of the world. And, I’ve been a passenger to a road trip from Mississippi (bottom east) all the way to Los Angeles (west coast). 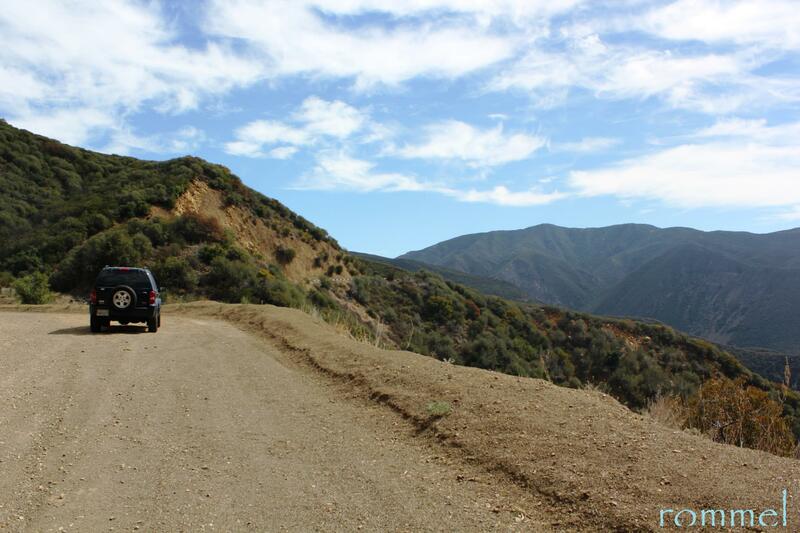 But there’s just no other road stretches that beats what California has to offer. My favorite is still California 1 from Santa Monica to Point Mugu. Going South has most of the vistas. I’m currently exploring Route 66 and aiming to accomplish to drive it from start to the end. My focus on this post is from a recent drive from Ventura to San Francisco. Take note of the noticeable features along the way. 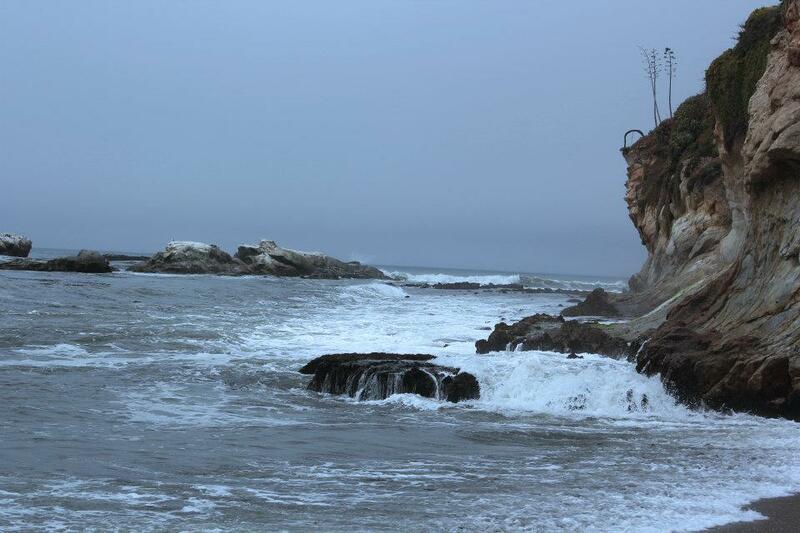 Ventura beaches, the tunnel approaching Buellton, Madonna Inn, mountains in San Luis Obispo and Paso Robles City Limits, fields in Central Coast esp. 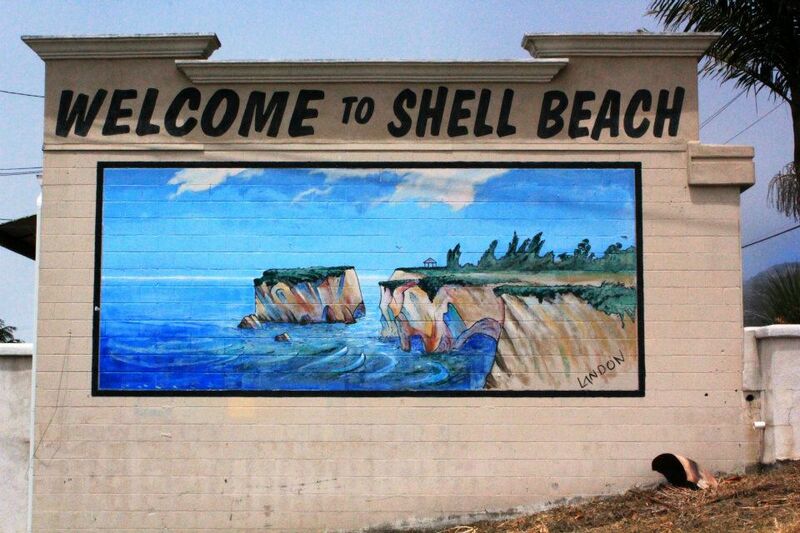 Santa Barbara and the very main topic, Shell Beach in Pismo. I can assure you, these boulders of rocks peeking through the high cliffs are very recognizable. Once you start seeing Pismo on billboards and signs and houses perched on high grounds, just start looking to your right, and you’d see that image above. 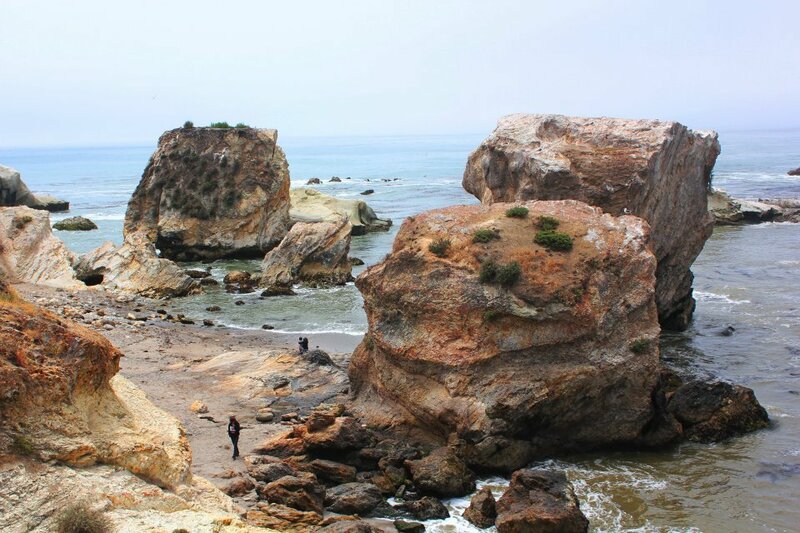 The cliffs are not as visible when going South so just pay attention when you’re in or nearing Pismo and San Luis Obispo. 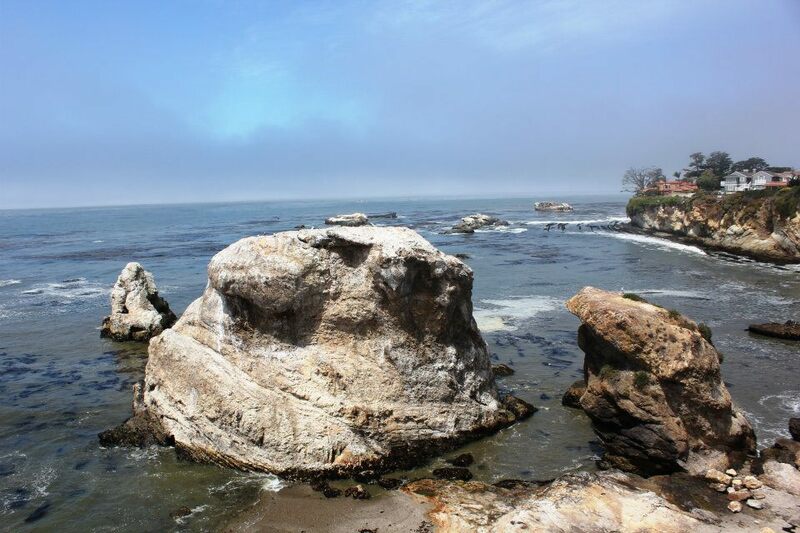 Shell Beach in Pismo is a great quick stop, unless you really want to do some kayaking or “shell” searching. I, myself, went down the sets of stairs provided to get to the bottom shoreline. People were removing their shoes to stoop to look at tidepools, explore some coves, or otherwise, relaxing by the sandy beach. If the high cliffs are turning on the alarm button for your kids, there’s a playground area in the park. Or, simply take a seat on the provided benches and enjoy it with the upfront views of the rocks. There are birds, sea lions and seals to be seen as well. Park your car, camera on hand, take a stroll, and after this quick stop, continue on driving the best roadside views in my book. I was born in Southern California and now live in Northern California, so I’m not sure if it’s just out of fairness but Central California is my favorite coastline! 🙂 Glad you were able to enjoy it! I arrived to U.S. in Northern California for only one year. Then I came back in California, here in the South, only last year. It is only after my second arrival that I begun to fully love the state. Haven’t taken that route yet but I hear it’s beautiful. I hope this year I can take those trips. I’m so close to it all and it will only take some long weekends to enjoy it all and visit different areas! This place is amazing… Need to put this spot on my visit list! Thanks.. Thanks for the tour of this fabulous coast Rommel! Lovely photos as usual. Awesome photos! Sounds like a trip we need to be taking! There’s more further up if you really want to explore. 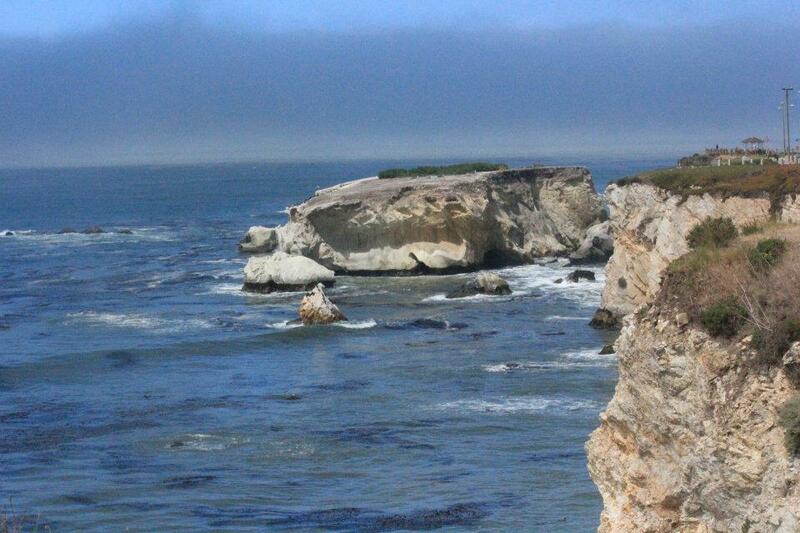 And also, there’s the actual Pismo Beach. But really for me, the cliffs area is a quick stop. 30 min to an hour is good enough. The drive up the coast in California is one of my favorite drives. I grew up in California, and when ever it was time for a road trip it was definitely a drive up the coast. We always stopped at San Luis Obispo at the Madonna Inn. They have the best Cakes. They have this pink cakes, it’s the best. They also had these huge truffles. We got one of each, munchies….. I drove from 101 up to Seattle and across on 90 to Michigan. It was great. On the way back we came down the 15 this drive was really beautiful. I highly recommend it if you can. I’ve never taken photos of rocks. What a wonderful concept?!!! They are massive and have a character all their own. Your photos have awesome clarity. They show movement, as well. Outstanding …..